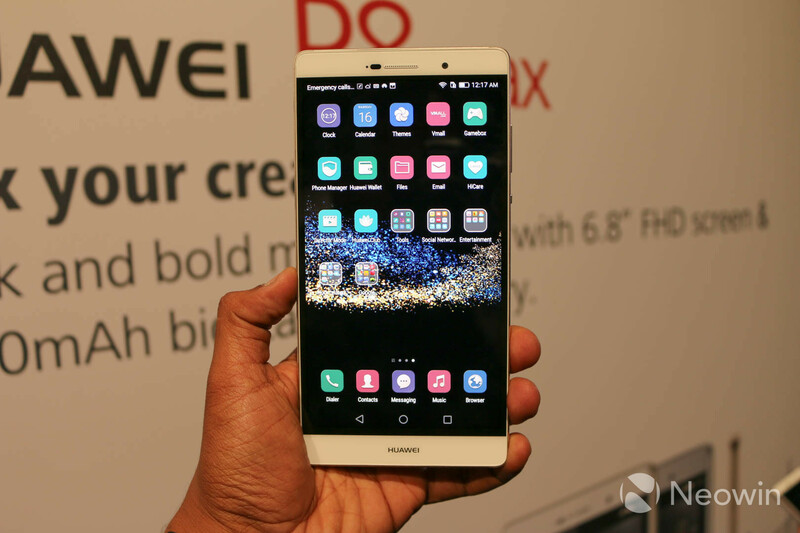 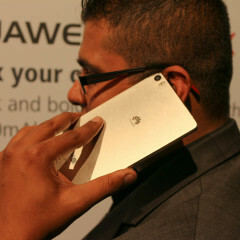 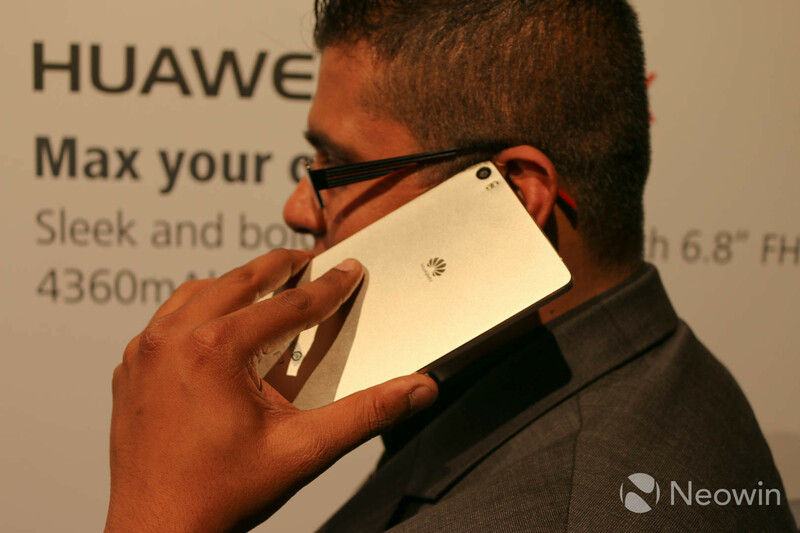 At the launch of the Huawei P8 in London yesterday, Huawei surprised us all with the introduction of its supersized phablet, the Ascend P8 Max. 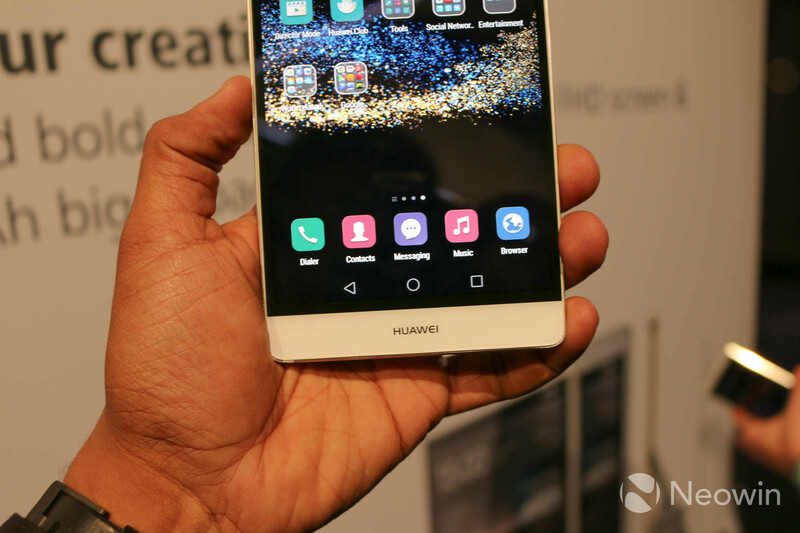 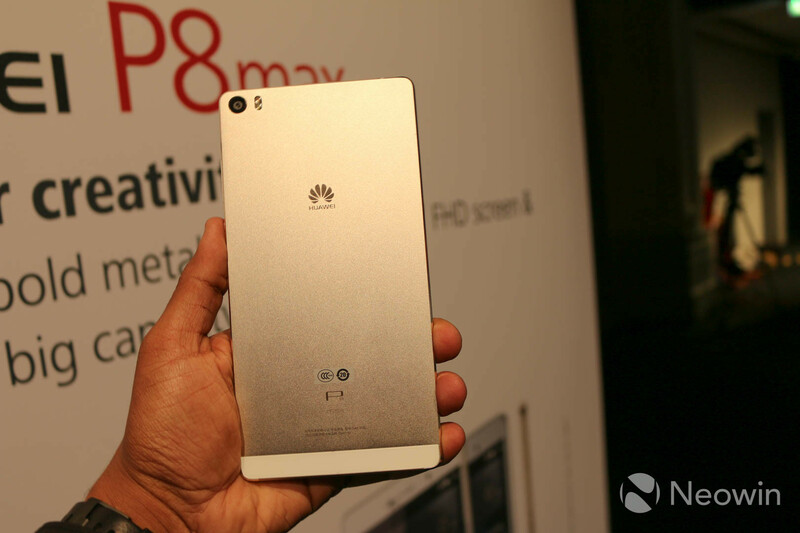 With a 6.8-inch Full HD display, the Ascend P8 Max is designed to cater for those who need a tablet and phone in one and we went hands on with Huawei’s latest slate. 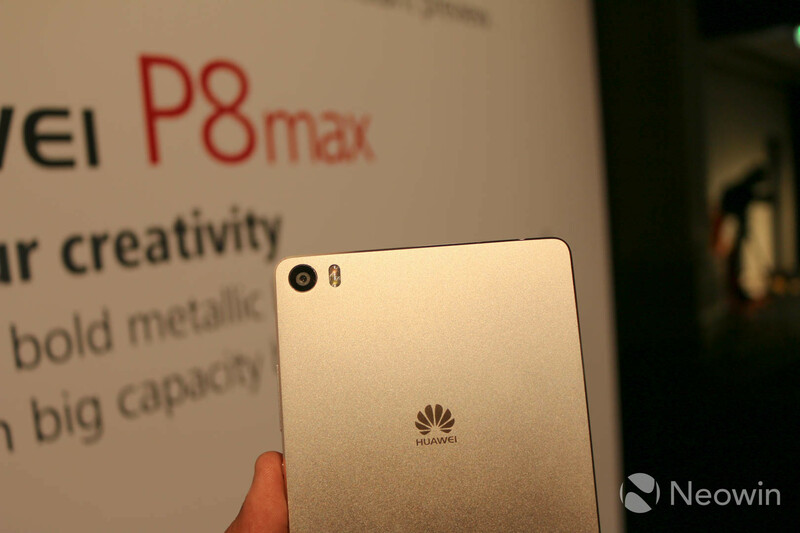 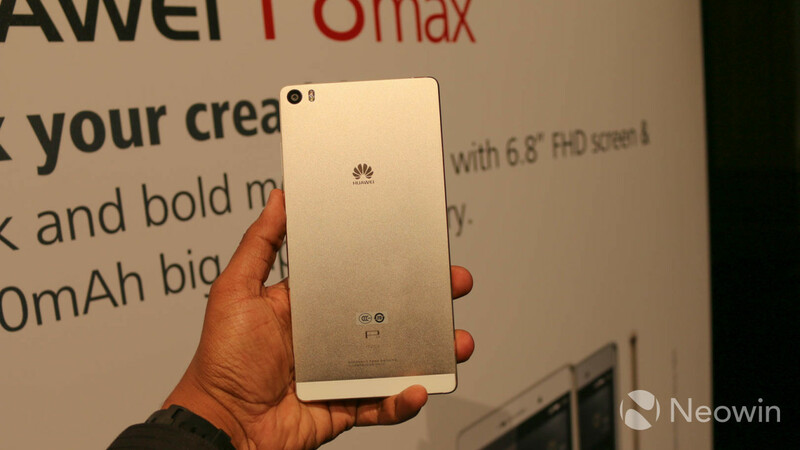 The Ascend P8 Max shares many design similarities with its smaller sibling, the Ascend P8. 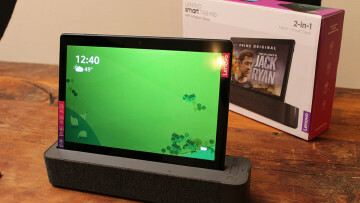 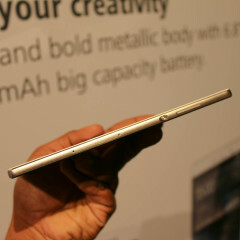 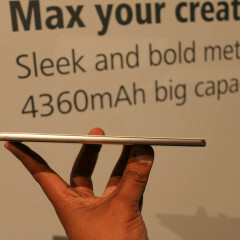 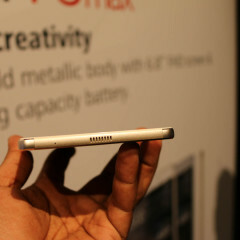 The extremely thin phablet measures just 6.8mm thick but packs a lot of specs including the 6.8-inch display with 1920 x 1080 pixels resolution which offers 324 pixels per inch density. 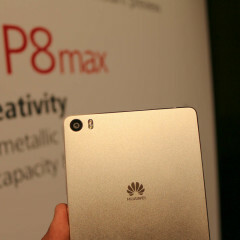 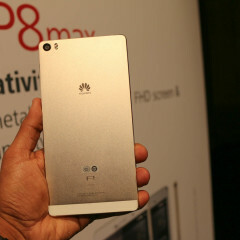 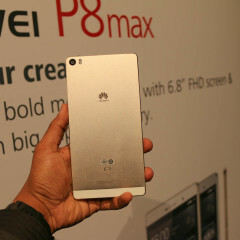 That density is the same as the Apple iPhone 4 and while Huawei has previously confirmed it has no plans to launch hi-res displays on its smartphones, the Ascend P8 Max would have been a prime contender for the better resolution screen. 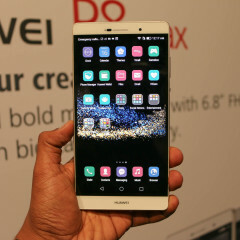 Switching to a Quad HD display would have offered 431ppi density, which would have been closer to the expectations of a large display. 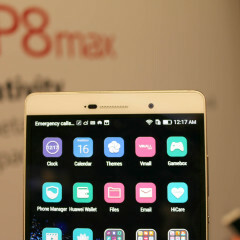 That being said, the Ascend P8 Max display uses the same IPS-Neo technology as the Ascend P8 and Huawei says these displays have an astronomic contrast ratio of 1500:1 to provide the best visible experience. 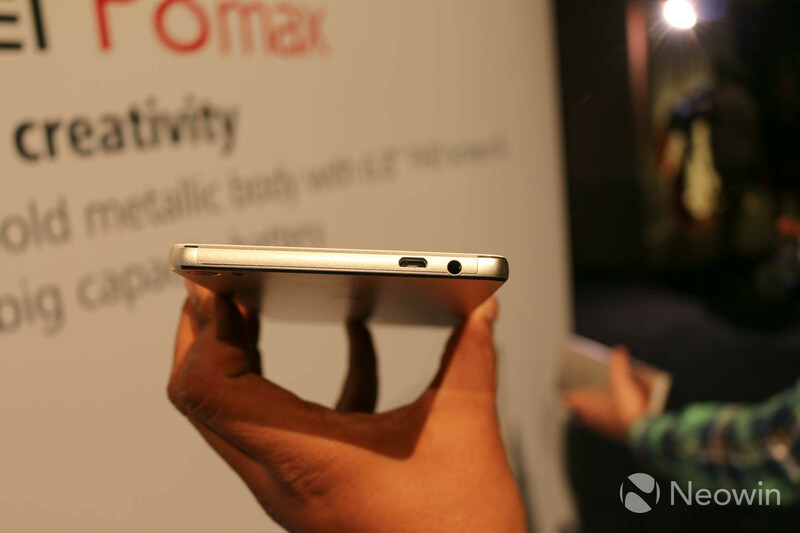 From my short time with the Ascend P8 Max, it’s clear that, despite the low pixel density, the display is incredible – especially in low-light and dark conditions where the colours are really vibrant. 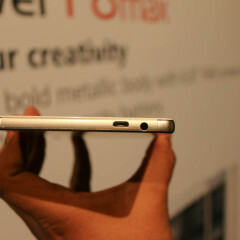 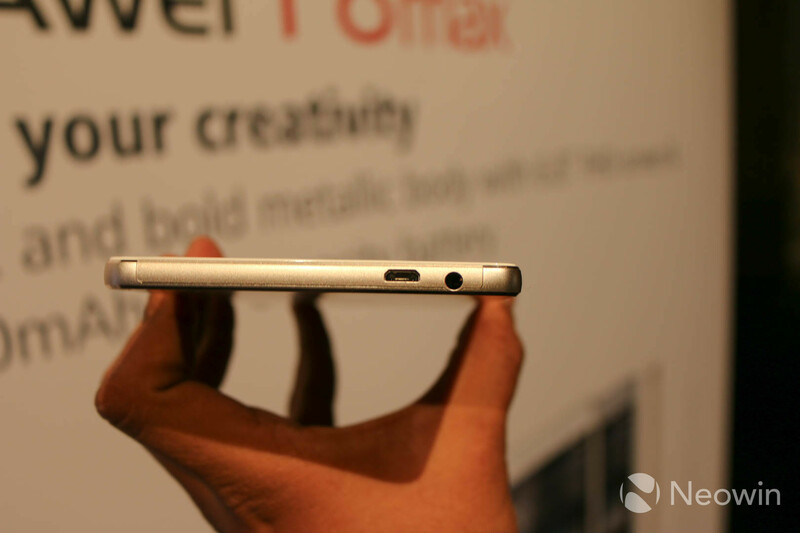 As mentioned, the Huawei Ascend P8 Max is just 6.8mm thick but despite the slim body, Huawei have managed to pack a 4360mAh battery inside the phablet. 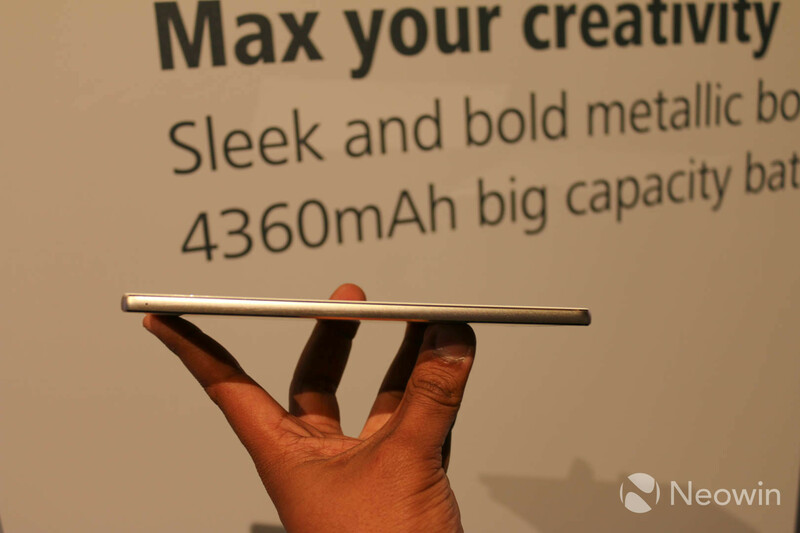 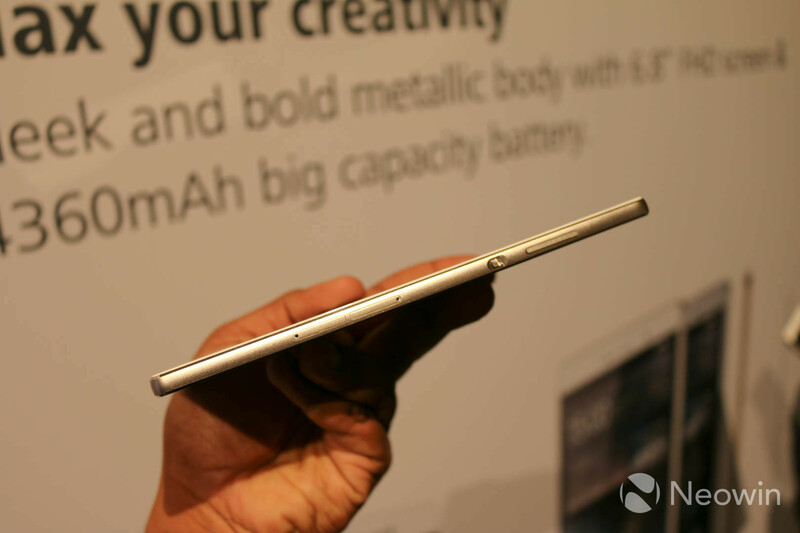 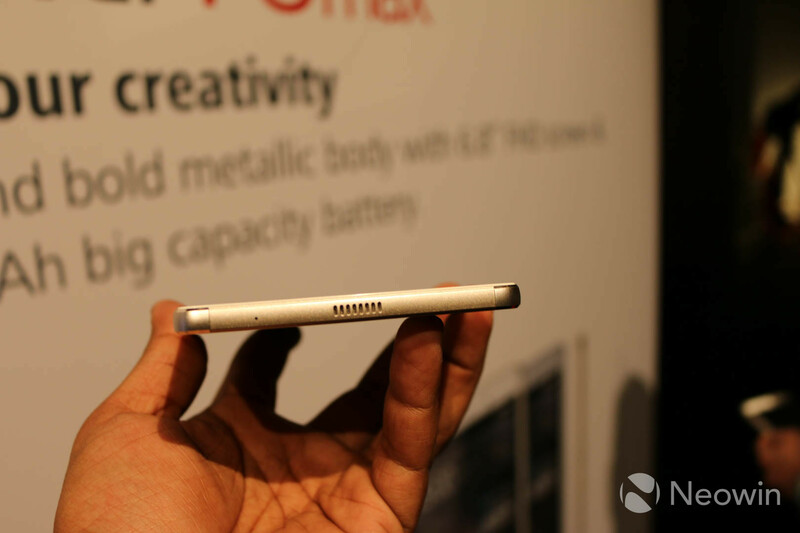 That is 360mAh higher capacity than Huawei’s previous flagship phablet - the Ascend Mate 7 – and given the Mate 7 can last two days’ with really heavy usage, the Ascend P8 Max battery should be enough to power you for days on end. 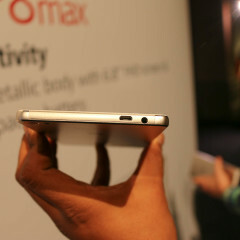 On the back, the Ascend P8 Max has the same 13MP camera as the Ascend P8 and comes with optical image stabilization and a dual-tone dual-LED flash. 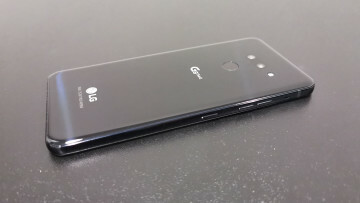 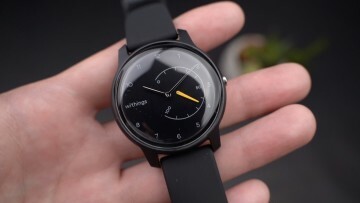 The camera shoots Full HD 1080p video at 30 frames per second while the front has an 8MP snapper capable of wide-angle selfies. 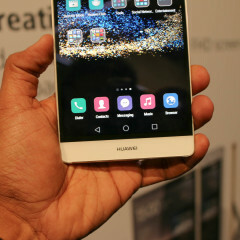 Huawei have added several software features to the camera including a light painting mode to capture light trails at night, a director mode to record professional videos and a time-lapse feature to take multiple images at different times and stitch them together. 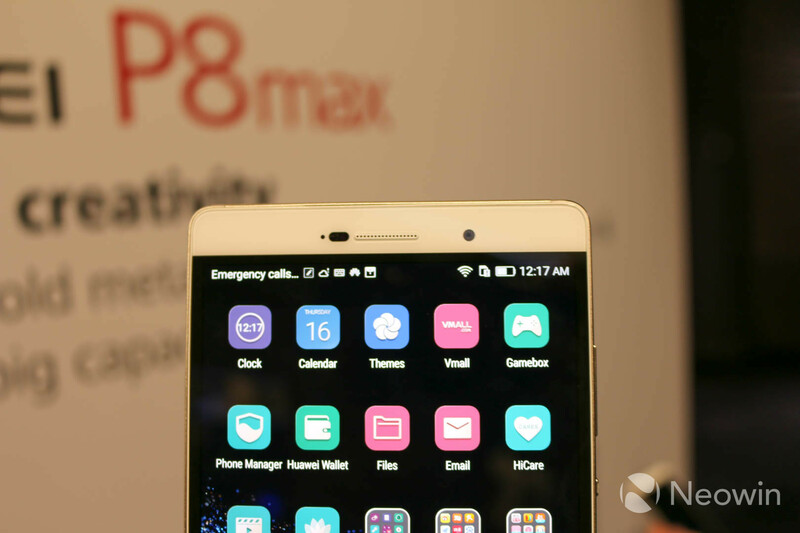 An octa-core Kirin 935 processor powers the Ascend P8 Max and uses four Cortex-A53 cores clocked at 2.2GHz and four Cortex-A53 cores clocked at 1.5GHz in a big.LITTLE formation. 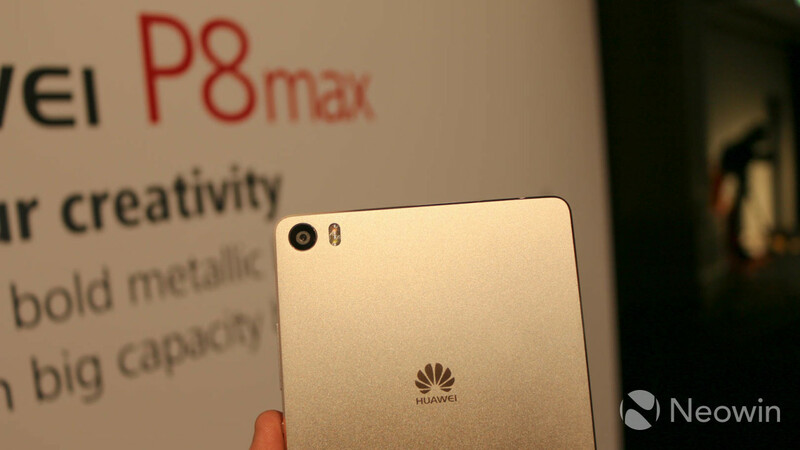 The Ascend P8 Max will be available in two versions, both with 3GB RAM and expandable storage; the standard version will have 32GB internal storage and can be had in Titanium Grey or Mystic Champagne for €549 before taxes and subsidies while the Premium version will have 64GB storage and will cost €649 in either Titanium Grey or Prestige Gold. 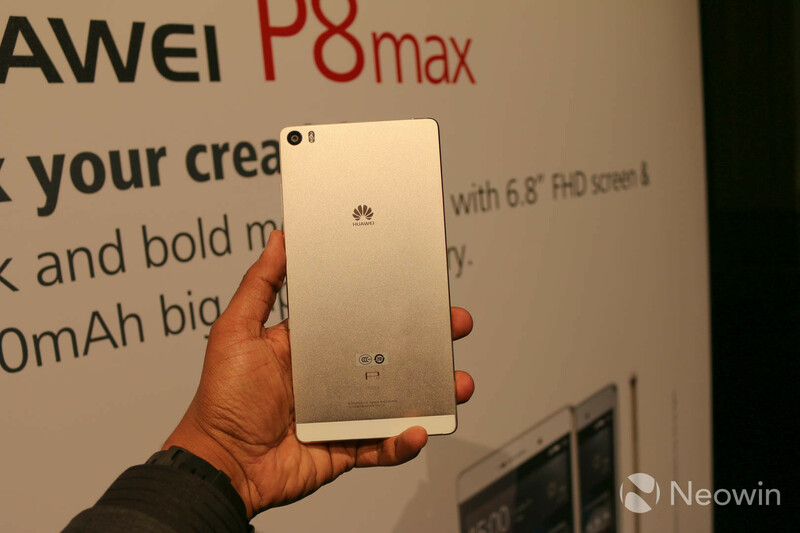 The Ascend P8 Max has the same look and feel as the Ascend P8 but caters for users who need a bigger display. 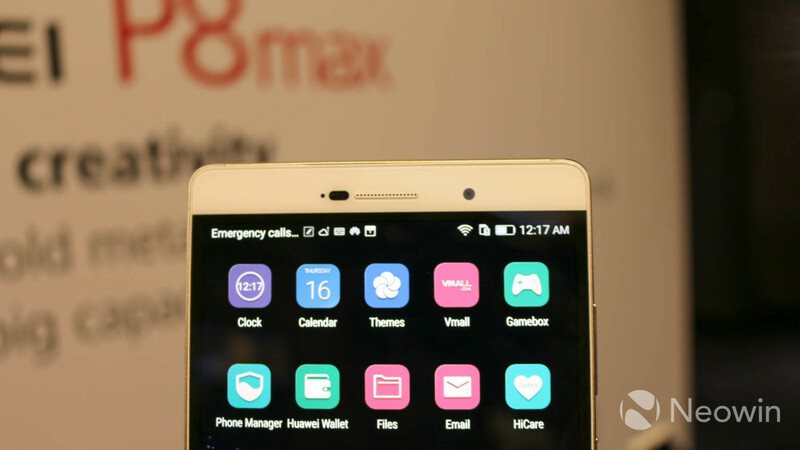 From the stylish design to the premium specs, the Ascend P8 Max won’t be for everyone but offers an excellent package for those who want a very large screen.